Zakład Tworzyw Sztucznych i Wyrobów Różnych "HEKO" was established in July 1990 in Czermno, a small town in Świętokrzyskie Voivodeship. It is a family company with a capital of 100% polish . The company HEKO mainly specializes in production and distribution of various types of wind deflectors. The rapid and dynamic growth of the plant has been possible thanks to ambitions and devotion of the company owners and employees. Year by year, the company assigns more and more funds for investments and expansion of production and technical facilities (currently, expansion works of plant no. 1 in Czermno and plant no. 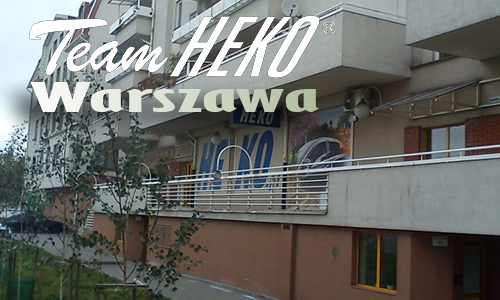 2 in Oświęcim are being conducted) which allowed a wider assortment of goods offered by HEKO. At the moment, the offer of HEKO includes over 2550 items of various types of wind deflectors produced for 139 brands of passenger cars, trucks, buses, and special purpose vehicles. About 90% of our products is exported, mainly to Western European countries, China, and the USA. That may serve as the best proof that our products are modern and of high quality. The size of export of goods produced by HEKO was recognized in 2015 by the editorial team of "Rzeczpospolita" which awarded HEKO with the title of "Orzeł Eksportu w Województwie Świętokrzyskim" (The Eagle of Export in Świętokrzyskie Voivodeship) in the Most Dynamic Exporter category. In December 2004, thanks to investment activities of the owners, the company opened a new production plant. The purchased plant belonged to Zakłady Chemiczne in Oświęcim. The production experience and tradition of that plant dated back to the 1960s. The process of modernization and financing of key areas was started quickly, so that the newly established branch, from the very beginning of its operations, took a strong position in the plastics industry, specializing in polymethyl methacrylate (PMMA). 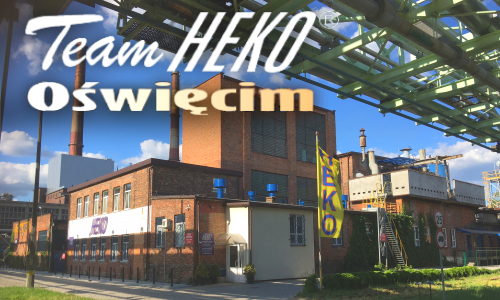 Intensive investment processes undertaken by the company influenced the market position of the HEKO plant in Oświęcim – nowadays, it is the largest domestic producer of plexiglass plates received through the process of bulk polymerization. The plates are produced only from the best raw materials that come from renowned, world-class producers from the chemical industry. Thus, plates distinguish themselves in the market with desirable technical parameters, having, at the same time, reproducible, high quality. One should note the innovative approach towards creation of products, as effect of which manufactured goods have unique aesthetic features, such as multi-colored "RAINBOW" plates, or practical features, in form of plates distributing light onto the whole surface.HEKO branch in Oświęcim also has technical facilities to produce polymethyl methacrylate in form of granulate. It may be produced in many variations and colors, depending on the method of processing and purpose of finished goods. As one of the few in the market, the company is able to modify technical parameters of the produced granulate, adjusting it directly to customer's needs. The flagship articles offered by HEKO includes synthetic acrylic resins HEKOL I-50 and HEKOL L-50. They have been known in the market of professional products for years, especially valued by domestic and foreign conservation workshops. They have a wide range of functions. They may be used in renovation works, they are perfect for consolidation – the enforcing of the disintegrated structure of damaged wood. They are mainly used, i.a. to secure construction woodwork inside and outside buildings, in structural impregnation of wood damaged by microorganisms and insects, in consolidation of wall paintings, frames of paintings, primers for painting layers, to enforce wooden walls and daub. They may also be successfully used for glass and ceramics. The company conducted a proprietary project that included creation and introduction on the market of single-layer impregnation for paving stones – Hekol ExtraBruk. It is the highest-quality preparation consisting of a solution of acrylic polymers in organic solvents. It is used for impregnation of surfaces made of paving stones and concrete around houses, places of public services, pedestrian passages, access roads, etc. Application of the impregnation improves aesthetics and highlights the color of paving stones (the so-called effect of wet stones), efficiently secures paving stones against unfavorable weather conditions, protects against water, oils, grease, tire rubber, as well as makes cleaning and care of the secured surface easier. What is more, it guarantees a perfect effect just after applying a single layer – that will save your money and time. In order to implement constant development, the company conducts further investments and continues to expand its offer. Our offer also includes a range of chemical raw materials. We also sell them in retail amounts, which are very often unavailable in the market of specialist chemistry. Among those one will find acrylates, solvents, dyes, initiators, stabilizers, and other. Our development activities are conducted in accordance with world standards aiming at improving energy efficiency and minimizing the impact on the natural environment. At the same time, we invest in human resources, create workplaces, and give development opportunities in a modern, safe, and friendly working environment. For several years, the company HEKO has been receiving the prestigious distinction of the Certificate of Business Credibility granted by Dun & Bradstreet Poland. That distinction confirms the high liquidity and financial stability and may serve as a proof that we are a reliable business partner. The distinction awarded by Dun & Bradstreet Poland is honored all over the world, which is perfectly in line with the nature of HEKO business activities. In its production, HEKO applies unique world-class solutions that have been secured at the patent office. 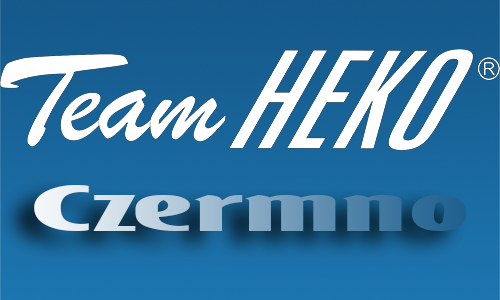 That allows HEKO produce wind deflectors for every, even the most unusual order. 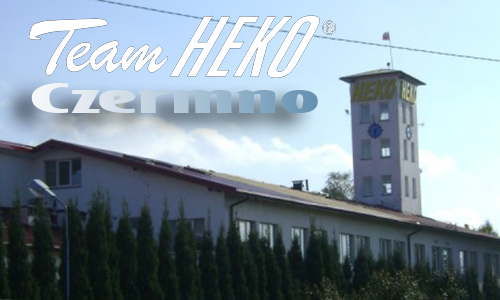 Investment activities performed by HEKO, as well as the care to stay up to date with consumers' demands helped HEKO become the leader in markets worldwide (currently, our products reach the most distant parts of the world, so that HEKO wind deflectors may be found all over the world). At the moment, the company cooperates with many important domestic and foreign distributors from all over the world.